I received three colors of mist: Custard, Heirloom Blue, and Plum Thumb - aren't they pretty together? I also received a bottle of Calico Shine. lots of options for use - spraying, dripping, painting, etc. 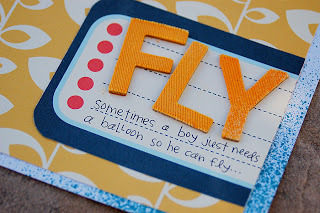 I used the color mists in two different ways on this page. 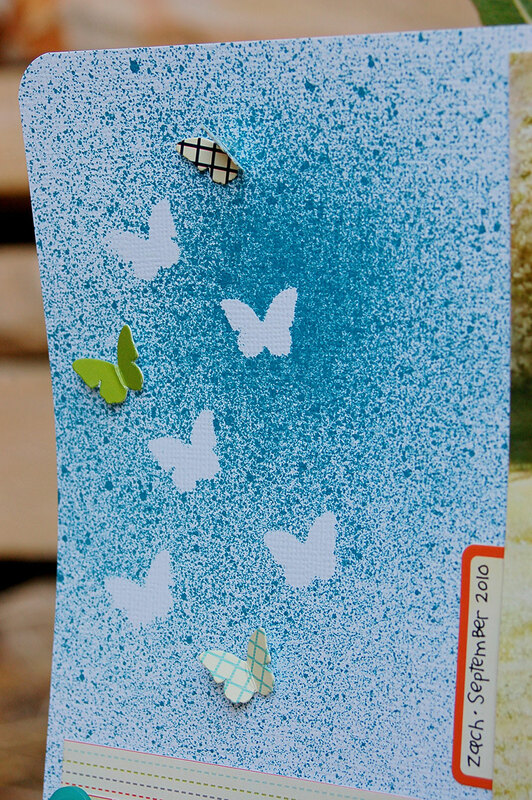 First of all I used butterflies as masks on the top of the page. I also used the color mist to change the fabric letters. On this card, I unscrewed the cap and "dripped" Calico Shine onto my card. If you simply peruse the various galleries, especially the Studio Calico gallery and blog, you will find many many many ways to use Mister Huey's mists. I used the mists in the most basic ways, but there are some really fun additional techniques and ideas you can try too. 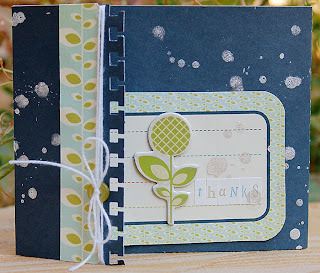 I'd recommend trying the mists for sure - especially if you like a more "artsy" feel to your pages and projects. 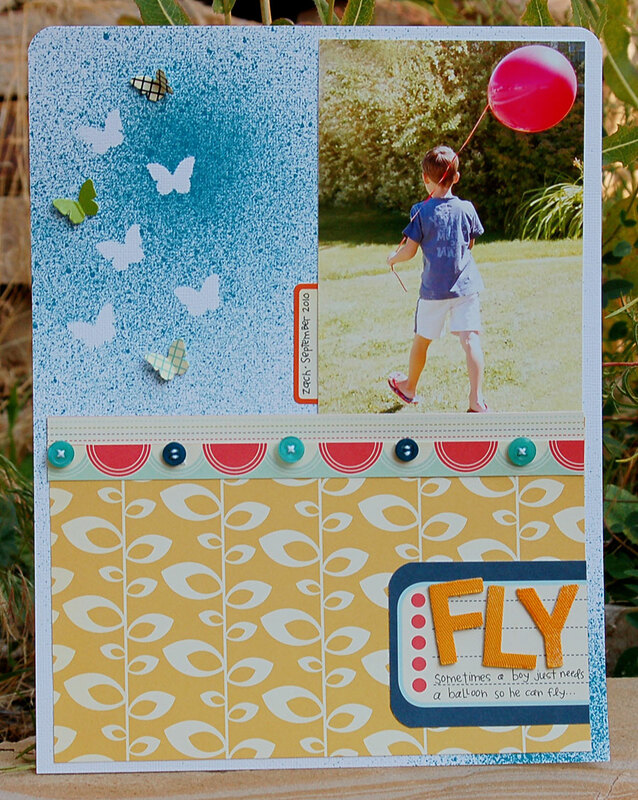 But even if you're a simple scrapbooker like me, you could still enjoy adding a new look and feel to some of your pages! Have you tried Mister Huey's mists? Do you love them? Do you have any tips or ideas for other beginners like myself? I'd love to hear from you! 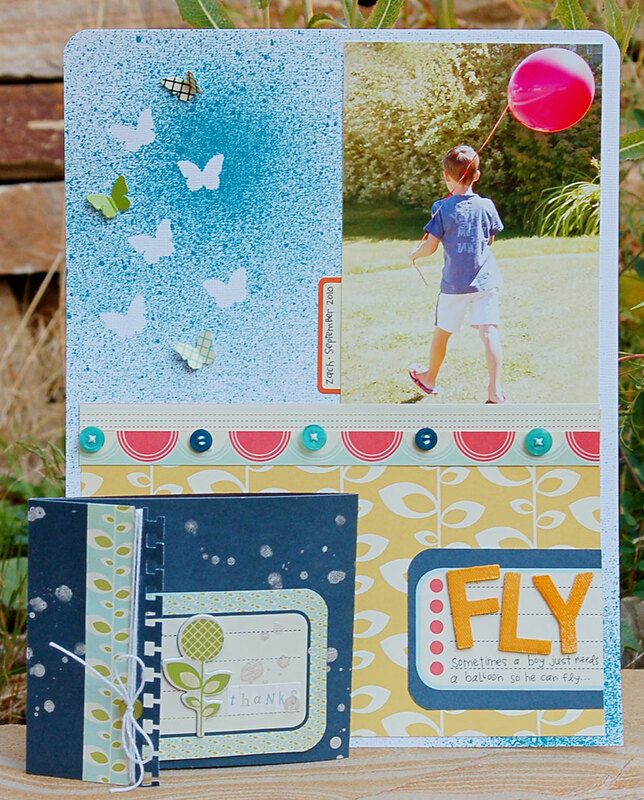 Leave a comment by midnight EST on Tuesday and be entered to win some Studio Calico Mister Hueys! US residents only. I took a Studio Calico-sponsored misting class at a Creating Keepsakes Convention this past spring. The Mr. Hueys were *really* nice to work with (not that I had much--if any--misting experience... that's why I was taking the class!) But I liked that they didn't have shimmer included in them. And the colors are just gorgeous. I haven't tried these. I do have one bottle of gold in a different brand. My tip is to put your project in a box and then spray so you don't make a mess. I LOVE Mister Huey's! I use alot of mists on my layouts, and they are by far the best ones that I have used. I have 2 colors that Kim Kesti kindly sent to me! I love them!!!! They've come in handy several times when there was just something missing... Thanks! No I haven't tried them---would love to win some so I could give them a try. I have not had a chance to use them.... But I really want too! The colors and shine are fabulous! 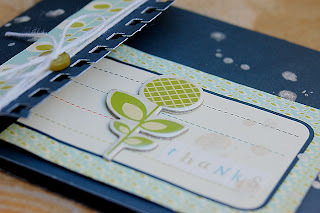 I just started using Mr. Huey's mist this summer in June when I attended a scrapbook convention. It is a lot of fun to use. I currently have 2 colors, and I love that stuff!! I don't use it on all of my layouts, but it is definitely fun to play with! i have a few colors and love them! woohoo~~ mister huey's crazy and big fan here~~~~!!!!! I'm like you... I haven't jumped on that bandwagon yet either. It's great to hear they are easy to use -- your projects look amazing! are you kidding me Studio Calico anything and I'm there I'm a HUGE fan of Mr. Huey. Its SO much fun... I only have a few but love I can use them not only just for spraying on my pages but for dying things which is one of my fav. things to do! have never tried these. but it looks like alot of fun. I liked the dripping technique it looks awesome! I have tried them. So far, really enjoying them. I even "paint" stamps with them. Actually "mist" with them the least of all the options. Lots of colors and work well together. I often use more than one at a time. 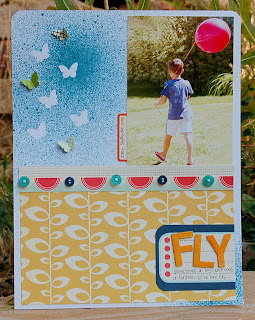 awesome page :) I really love the colors that they come in... and my favorite thing to do with them is to color fabic thickers and naked chipboard shapes! Wendy- great review. I too am a little behind the times regarding using mists; so it was nice to hear your take on them too. I hear great things about SC mists- so anxious to try them. Thanks for the chance to win Scrap Review! I love your masked butterfly effect: Ethereal and light. I, to, just started using Mister Huey's and I absolutely love them. I want all of the colors they are so vibrant. I think they look fabulous!! Mists really add that extra touch!! It's all in the details, and misting is a great something extra to add to make a project even better!! I love mists & Studio Calico has the best ones! I like to mist cardstock or non busy pattern paper for a little bit of pop! I have never used any mists before and would love to try someday. I would love to win these and finally try out the mists! I love the look but haven't been brave enough to do it yet. I love these!!! The thing I like the most is the color saturation...I don't have to get everything really wet with mist to get a good color spray...and their colors are so nice! I've heard so much about Mr Huey. Don't own any yet but will have a few of them quite soon. I love love love Mister Huey... I have only used SC mists also and am just a beginner but I am sold! I love the white mist. How cool! I didn't know it came in white. Gotta get that one! I looooove Mr Huey's! I have a handful of them and orange is my favorite! Once you start using them, it's hard NOT to use them on a layout! thanks for the chance!!! I have seen these mists lots of places and see that they are the latest rage but I havent tried them myself. I would lOVE to win some so I could compare them to the glimmer mist and LIndy stamp gang. I prefer the LIndys over the glimmer mist because the pumps clog on the glimmer mist. Mister Huey's mists are my favorite! Mine has leaked before, but it's not a common thing. You can try taking it off and rinsing it out, or soaking in hot water or all-purpose cleaner. I love them! Love your projects. I have not used the mists either! Would love to win some! I would love to try the mists. They look like alot of fun. Mists scare me but you make it look so easy. I would love to be able to give them a try, thanks for the chance to win. I don't use the mists very much and would love to have some to try-I am a beginner like you with them! I do love Studio Calico though. I have not done much with mists but I would love to try some. The calico shine looks like a lot of fun! great layout. Love that and thansk for the heads up. I have been wanting to try some mist but havent gotten around to it yet. I have not gotten the chance to try the Mr Huey's mists yet, but I would love to!! Definitely want to try these as I have very little experience with mists. I haven't ever used Mister Hueys, but I've been curious. I've used other mists before, and I am starting to really like them! Thanks for the review. Good info. Your projects look awesome.. I haven't done much with misting but would love to try these out! have not tried them yet, on my wish list! Never tried the Mister Huey misters but I do have several other brands. Hoping my LSS will be getting them in!My problem with many types is that they clog up easily. I've never tried mists! I'd love to win so I can try it out! Thanks! I love the Mister Huey's. Probably could use it more often than I do because it's so versatile. I don't have ANY of these but would so love to try them out. Love the colors! THanks for the chance! Great review! I love the projects you shared using these! I've never tried Mr. Huey- would LOVE to!! Thanks for the chance!! I never used them before. I think I would like to try them since all my projects don't need to shimmer. Absolutely love Mister Hueys!!!! They have the best color. I tried misting quite a while ago on some chipboard letters. I have never tried to mist on a layout though. OHHH! I really like misting and the effect--but I just can't seem to do it right! THANKS for the tutorial! I have never tried any of their mists so I would love to win so I can give them a try! I've never tried these mists either but have heard so much about them. Would love to give them a try.